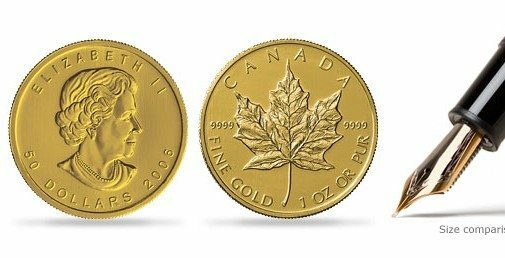 The iconic Gold Canadian Maple Leaf is one of the world’s most popular bullions coins with over 25 million troy ounces being sold since the coin was first issued in 1979. One of the primary reasons for this is that it was the first coin ever to a purity level of .9999 fine! The central feature of the coin’s design is the universally recognized symbol of Canada, the maple leaf, which appears on the reverse side along with the coin’s purity and weight. A representation of Canada’s head of state, Her Majesty Queen Elizabeth II, appears on the obverse surface along with the coin’s face value and its year of issue.